Each week will include: a trip to Aquacrest Pool (Wednesdays), On-site Waterslide (Thursdays), and Pizza Fridays! 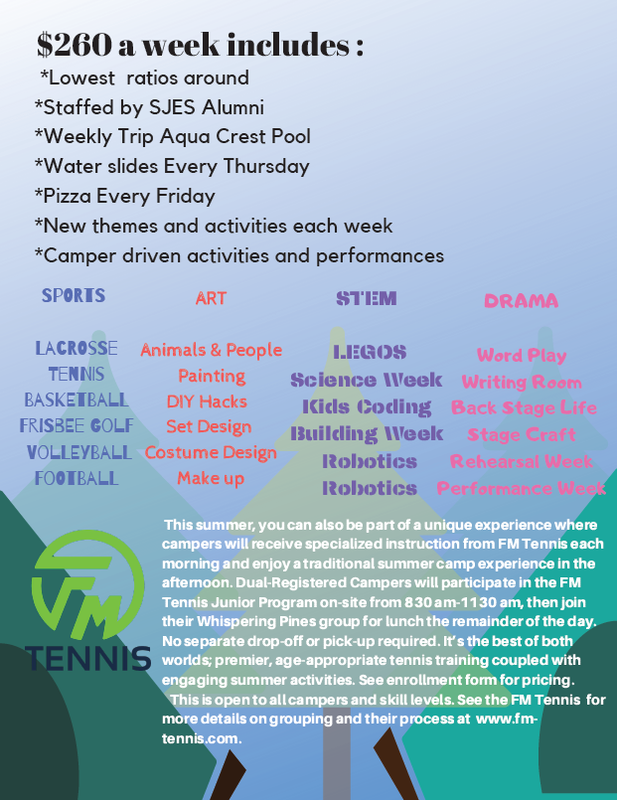 Interested campers must complete the Enrollment and Registration forms and return them to the school office. If you have questions, you can contact Pat Coyle at pcoyle@sjsonline.org or 561-396-6608.